New South Brewing is the 2nd oldest brewery and the oldest brewer-owned brewery in South Carolina. Their flagship White Ale has been brewed for 20 years—long before Blue Moon and Shock Top. Their Drink a Peach beer is new and it features peaches from South Carolina. Though Georgia is known as the “Peach State,” did you know that South Carolina actually produces more peaches? If you’re a Star Wars fan you’ll enjoy the Java the Nut and Dark Star Porter, and the Star Wars décor throughout. 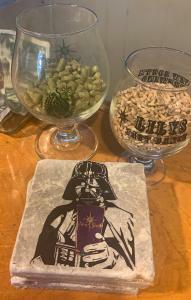 The Force is strong in this brewery. New South Brewing offers tours every Wednesday at 3 pm. The tour is just $7 and includes beer samples throughout the tour, a souvenir glass, and a full beer following the tour. This is such a great deal, and a great way to decide which cans you want to purchase to take home with you! Several varieties are available in cans to take away, and you can find New South in bars and restaurants throughout the Grand Strand. New South also offers yoga every Sunday morning at 11 am. For $10 enjoy an hour session of yoga and a complimentary beer afterward. For this event, and many others, food trucks are on site! Follow their Facebook page to keep up with all of their upcoming events like beer releases and food and beer pairing dinners. 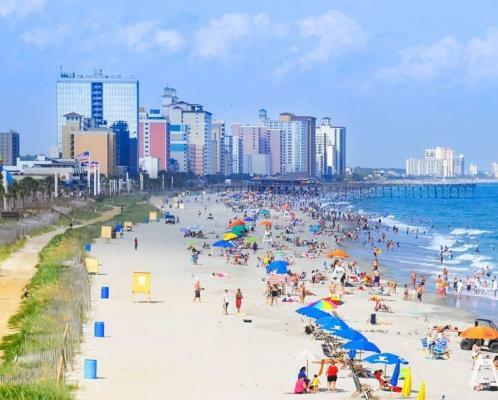 Tuesday - Friday: 4:30 - 7:00 p.m.
Olivia Elswick was born and raised in Myrtle Beach, SC, and her parents also grew up in Myrtle Beach, making Olivia about as local as you can get. Olivia has traveled extensively, beginning with a trip to Switzerland at 4 months old, and most recently, Iceland. Olivia has lived in China and India, and traveled to more than 25 countries, but keeps coming back to Myrtle Beach. Olivia loves anything outdoors, but especially reading on the beach, playing tennis, and biking. 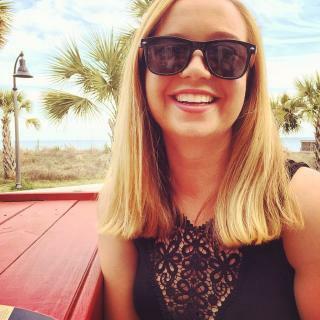 In her free time Olivia enjoys cheering on the Clemson Tigers, live music, craft beer, and crafting.